From our Fight Night Bangle collection. 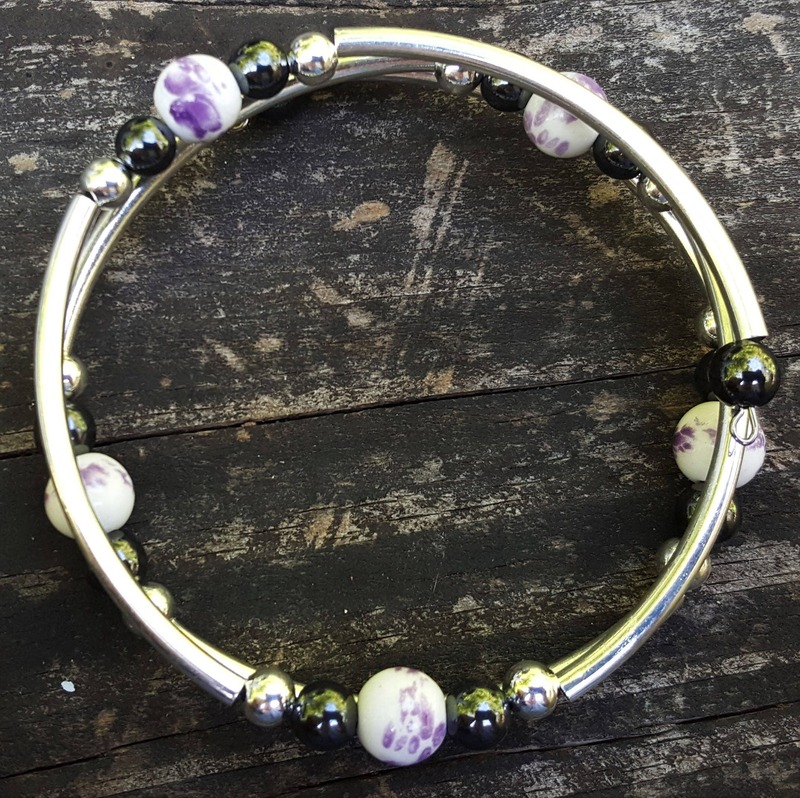 Silver-plated tube beads and with a purple patterned white bead and hematite. 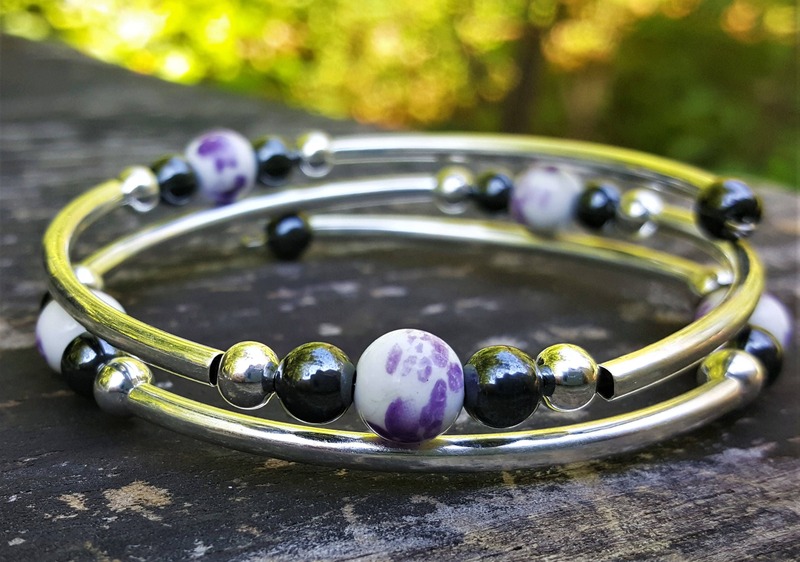 Make sure to check out the matching earrings and all of the other bangle styles! 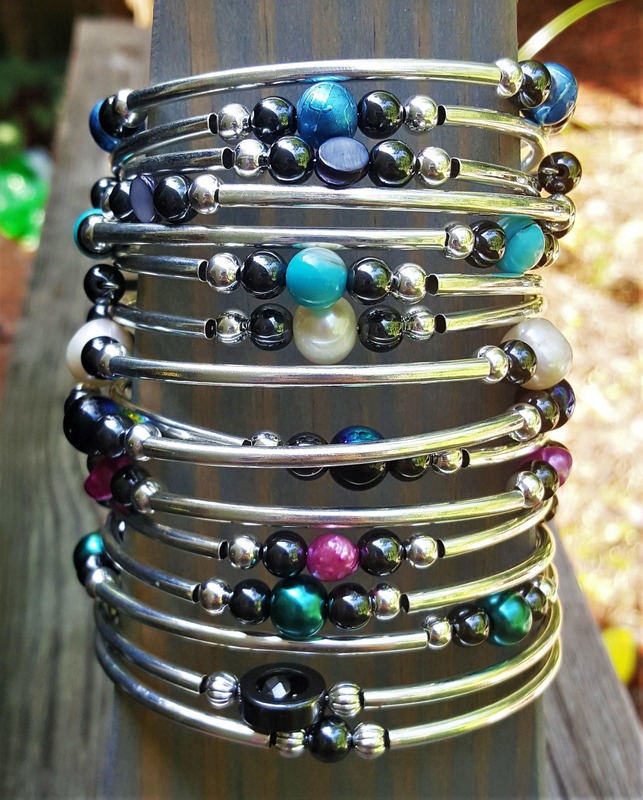 BONUS: These look GREAT stacked together (two or three are almost like fancy bangles) and stacked with almost any of our other silver based memory wire bracelets. The combinations are endless! About sizing & fitting: The memory wire is shaped like an circle, approximately 2.5" in diameter. It may wrap with some room around a smaller wrist and may wrap fewer times around larger wrists.